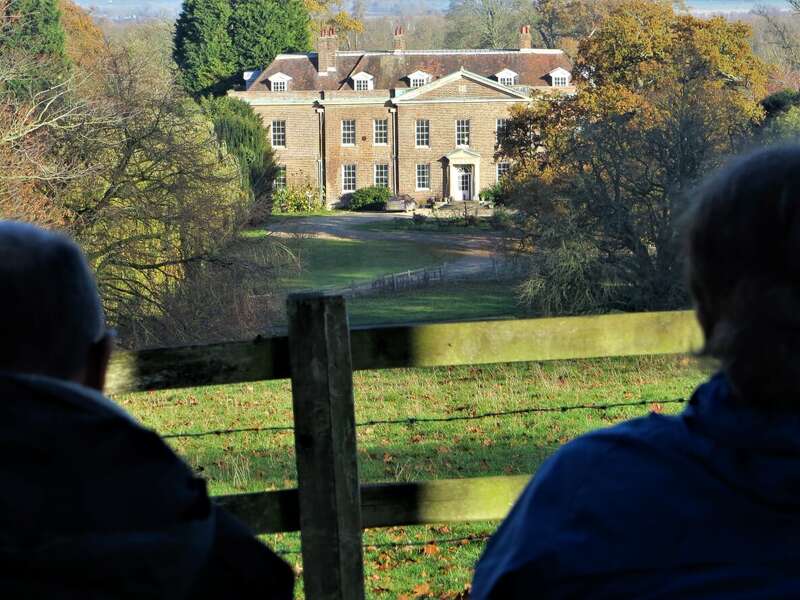 As a change of pace and destination from the usual, hard-hiking, spartan, hostel weekends in the Lakes, Peaks, or Scotland, Skendleby Hall in the undulating Lincolnshire Wolds offered the potential for lazing around in luxurious surroundings as well as some rather lovely walks in the vicinity. 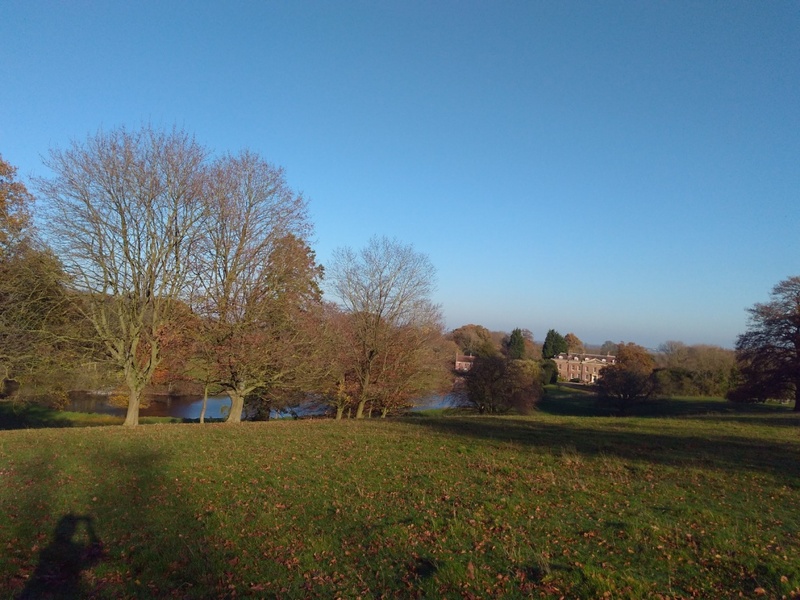 We were also blessed with perfect late autumn weather on Saturday and Sunday, sandwiched between rather nasty stuff on Friday and Monday. Twenty-seven of us car-shared the three-hour drive to Skendleby then needed maps to find our rooms in the rabbit warren of the rather fascinating building. These boasted four-posters, ensuite bathrooms, lovely views and beautiful furnishings. A far cry from a bunk bed in a 6-person dorm with a little shower cubicle somewhere down the hall… On the ground floor there was a conservatory, games room, billiard room, music room, card room, television room, drawing room, dining room, a couple of cloakrooms, sauna, jacuzzi and steam room, and two kitchens. We were still getting lost on the morning of departure. Still, it was the people that made the weekend! I organised the food (ed.) and was amply rewarded by the volume of animated chat, banter and laughter over dinner each night – it couldn’t have been more fun. 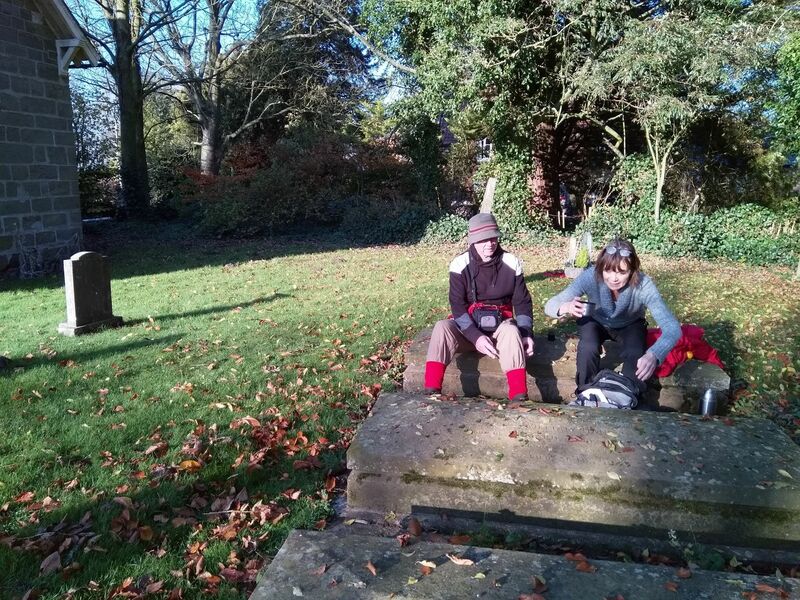 Led by Glenys, about eight of us headed out of the pretty town of Horncastle and did a six-mile circuit of the area through some lovely Lincolnshire farmland, stopping for lunch on some handy old gravestones outside Thimbleby Church. 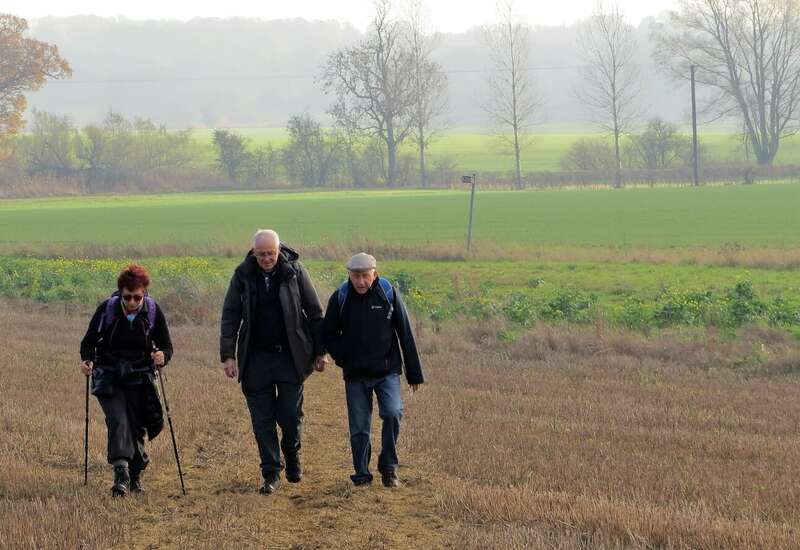 The short distance left most of us with plenty of time to explore the numerous antique shops in Horncastle – the vast quantity of stuff in some of them was stupefying but Dave persevered until he found what he was looking for (à chacun son goût). 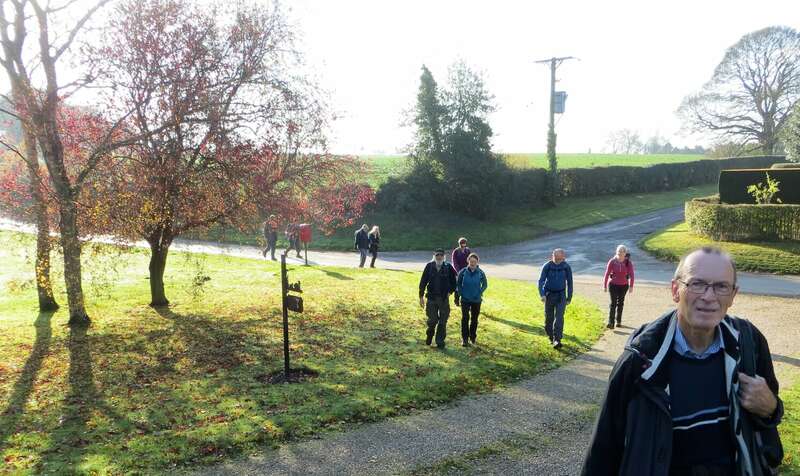 Our first walking day at Skendleby Hall started with bright sunshine. 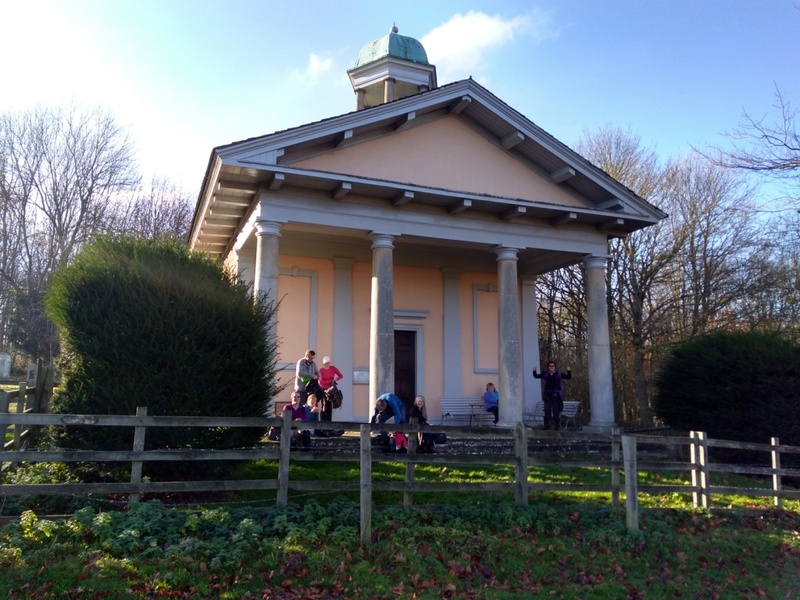 At 10am 14 of us assembled expectantly in front of the Hall to be counted and receive details and instructions from our walk leader Lou. 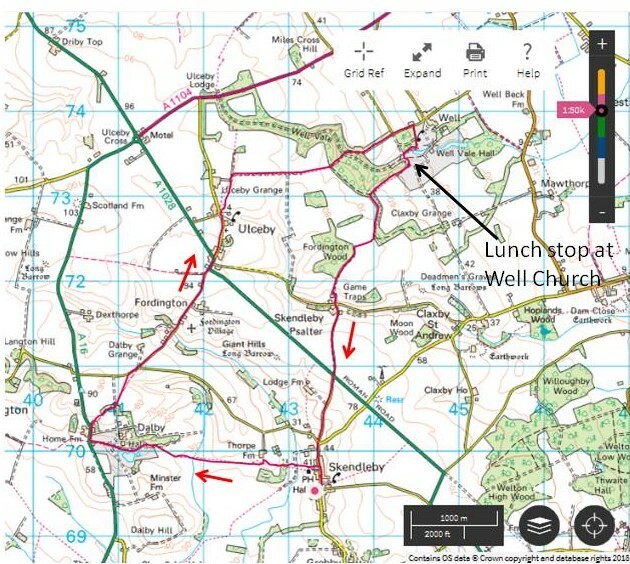 The total length of this walk was 9.2 miles in the end. 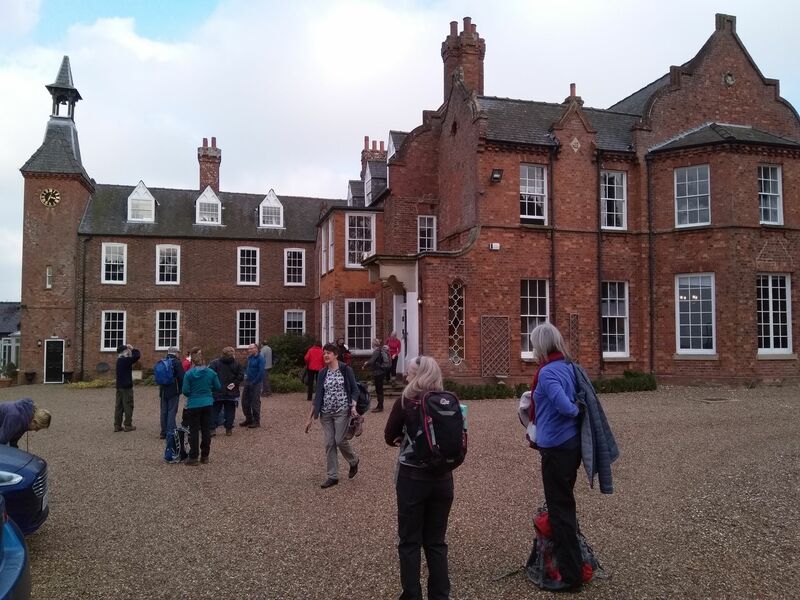 The route led us through Skendleby village and past the local pub, the Blacksmith’s Arms, then out onto the open fields and through the grounds of Dalby Hall which had a lovely lake. A short, high-risk section of the A16 followed. 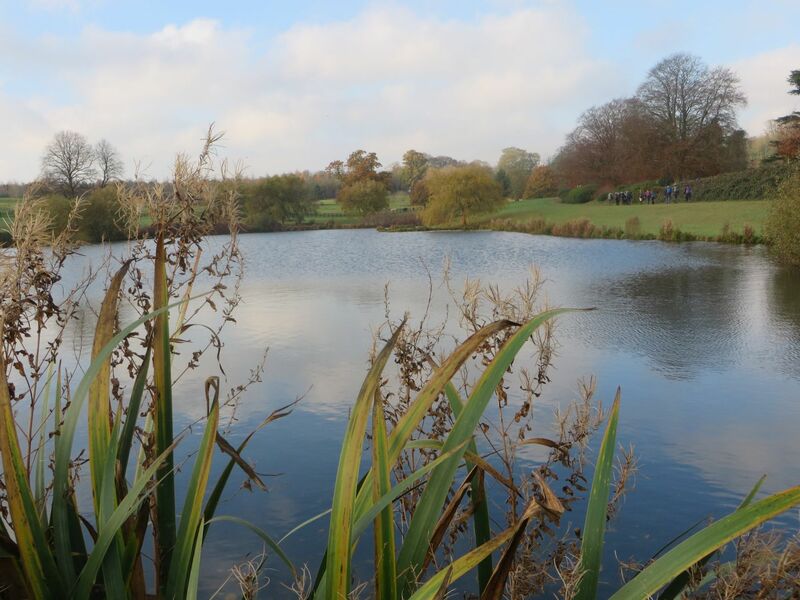 Real highlights of this day were the undulating grounds and extensive lake belonging to Well Vale Hall. 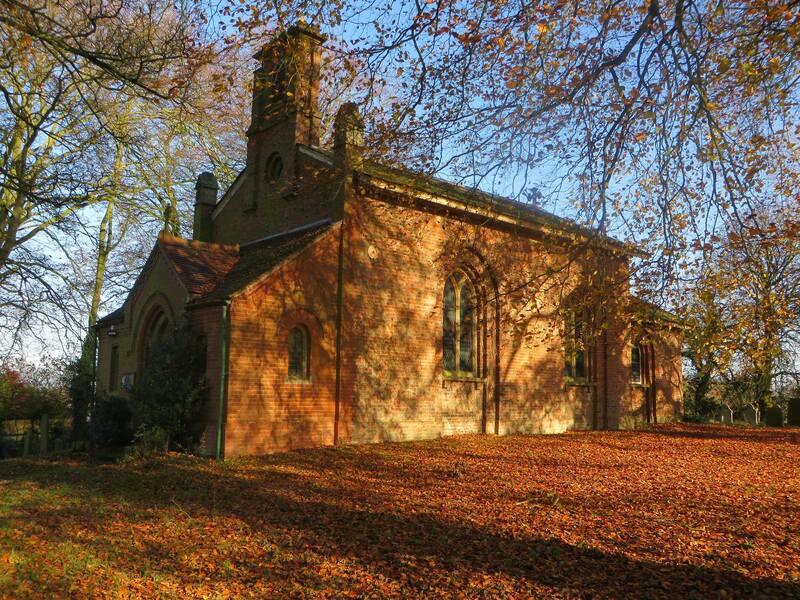 We had to climb a steep and muddy hill before arriving at a church which overlooked the Hall. The scenery unfolding here was truly breath-taking. Everyone was therefore delighted to learn it was our designated lunch spot. Glen said to our amusement he felt that this place gave everyone a real sense of ‘wellbeing’. 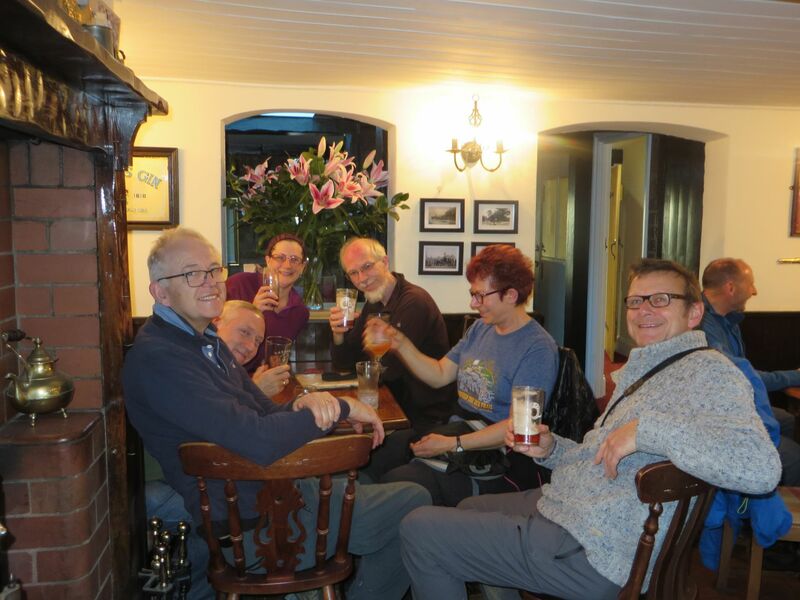 We returned to Skendleby via the Blacksmith’s Arms where the majority was happy to join Lou and Anne for a drink to mark the end of this lovely walk. 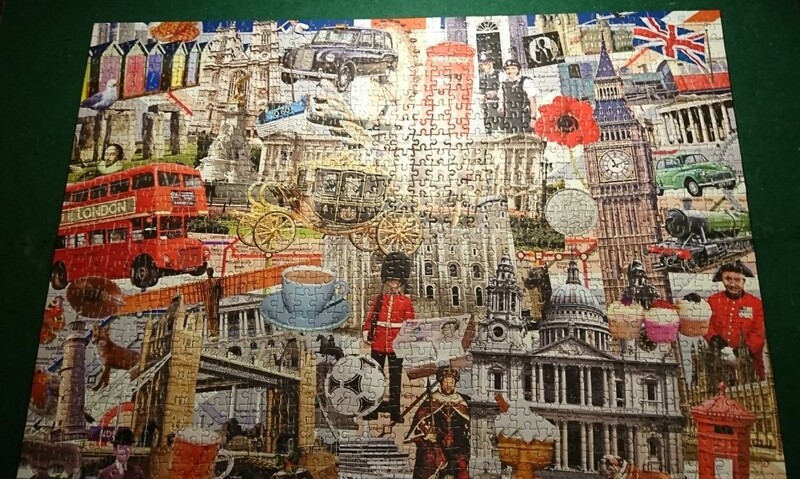 The pub was about to close for the afternoon, but we were lucky as the landlady was happy for us to come in. We found the pub cosy, it had an open fire and we had a great time there. Paul W., Andy and Francis provided much entertainment by winding each other up relentlessly, until Francis escaped to join the other group sitting at the nearby table. The landlady was pleased to learn that we intended to return the following day. 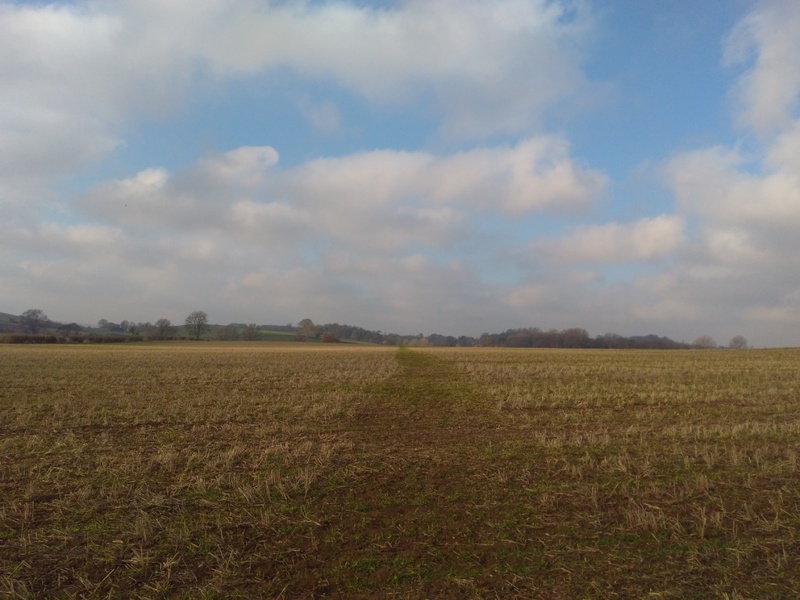 Lou had filled in the IOG Risk Assessment Template for his Lincolnshire Wolds walk. He was surprised to learn that the risk was higher than any walk he ever led in the Lake District! 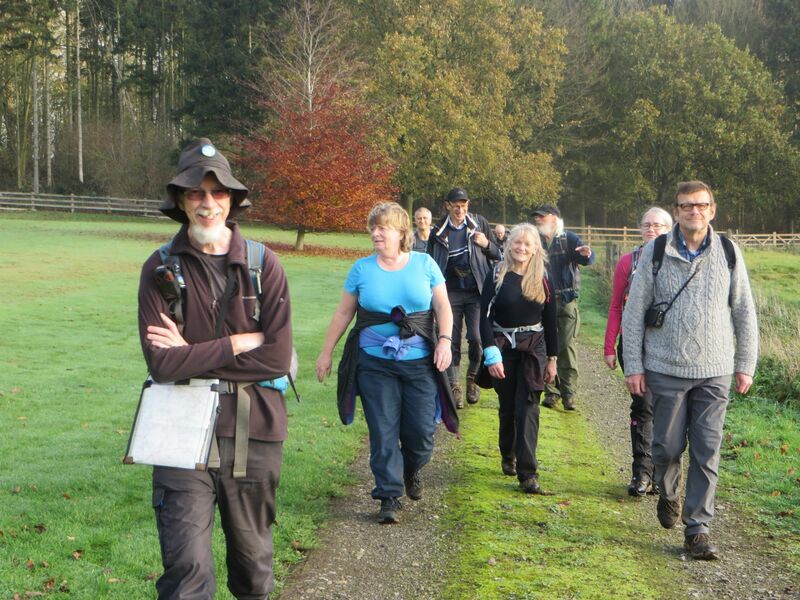 A big ‘thank you’ goes out to him for leading this fantastic and well organised walk. 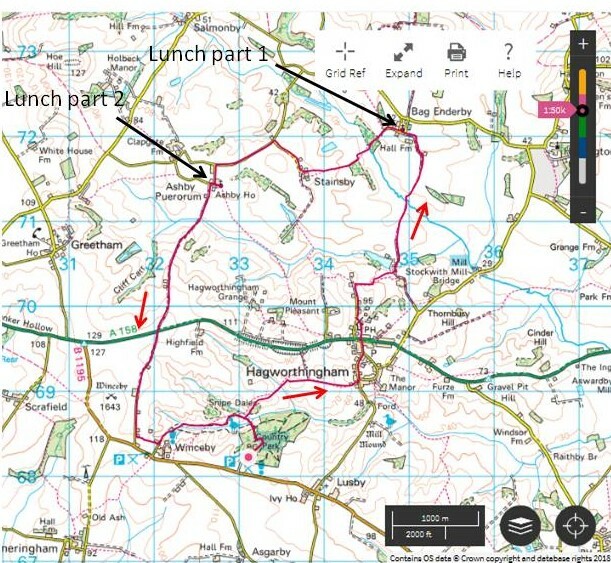 9.1 miles (A circular walk from Snipe Dales Country Park). Story contributed by Anni; pics various. 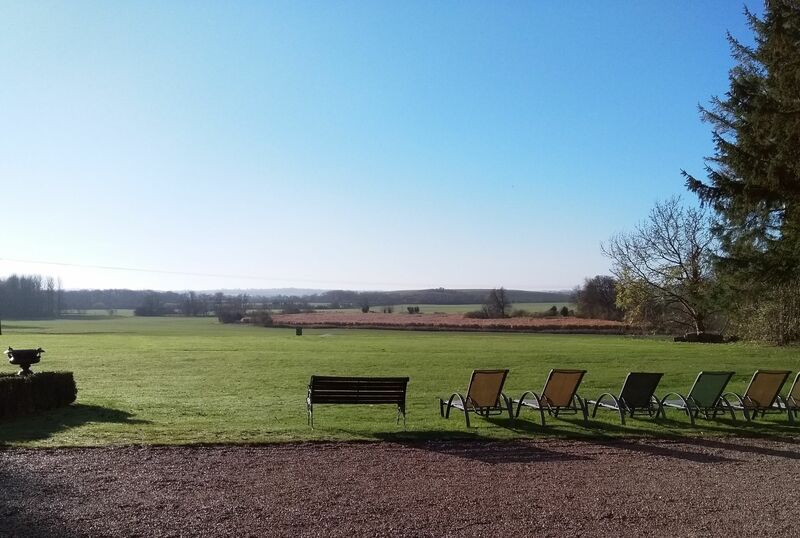 Another golden Autumn morning on the second day of the IOG Trip to Skendleby in Lincolnshire. 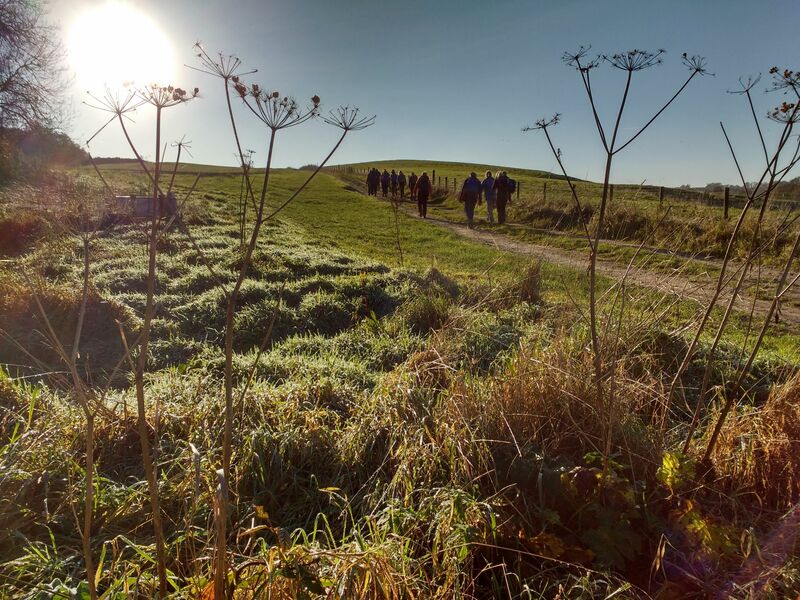 Led by Lou, seventeen of us headed from Skendleby Hall in convoy for the short drive along the A16 to the start of the walk at Snipe Dales Country Park (tended to by Lincolnshire Wildlife Trust). First bit of excitement was crossing a ford before we arrived at the start point. Suitably suited and booted, it was a glorious, sunny morning with just a hint of a chill in the south-westerly wind. 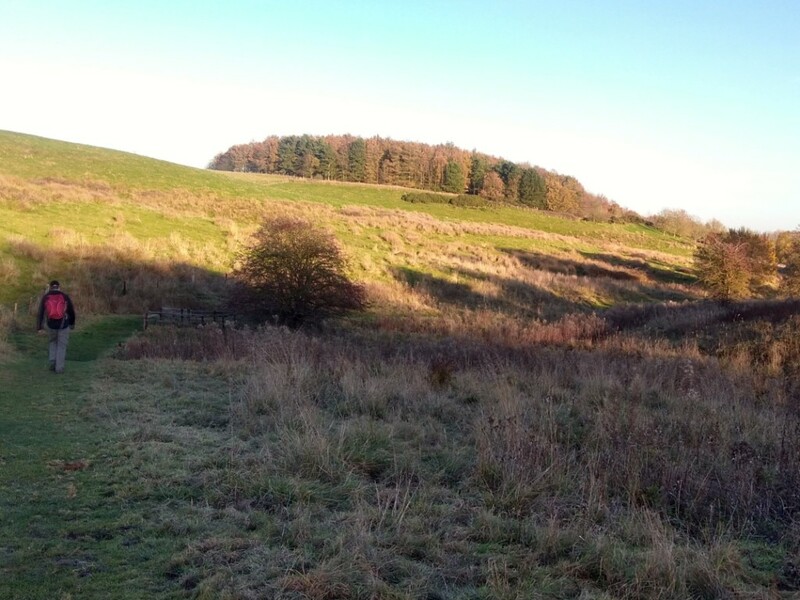 Snipe Dales Park offers 3 x different walking trails within its boundary from a 1 mile ‘There and Back trail’ to the Snipe dales Round at 3 ½ miles. Other people arrived (some with dogs) for their own walk, but all headed off in a different direction. 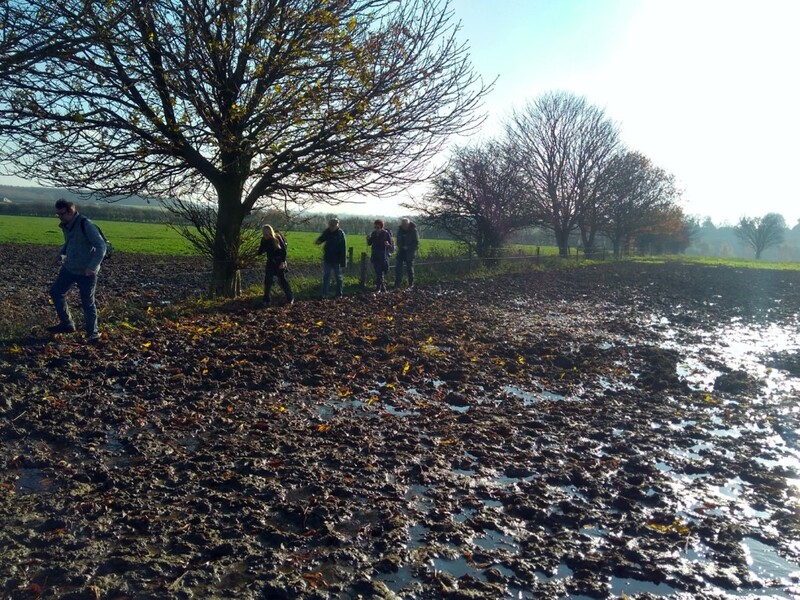 The late autumn clement temperature of circa 14 degrees, clear blue sky and sunshine created a glorious landscape for walking, and in good IOG fashion, we went beyond the boundaries of the park. Ten minutes into the walk we had the first surprise eliciting lots of ‘ooohs’ and ‘aaahs’. It was a dancing foal. Delightfully unselfconscious, running and jumping around the paddock, nudging the adult horses to join in. 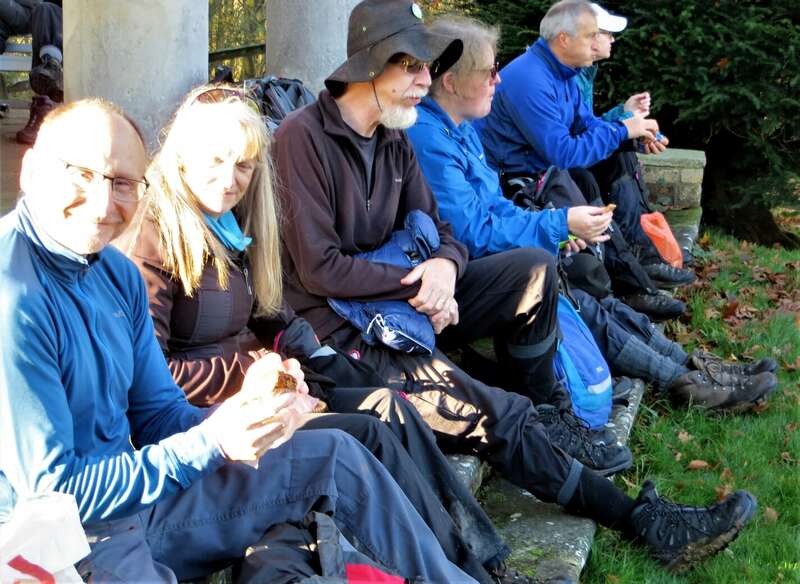 We climbed a little through Hagworthingham, and the first stop was at St Margaret’s Church in Bag Enderby (between Harrington and Somersby), where some of us had an early lunch. 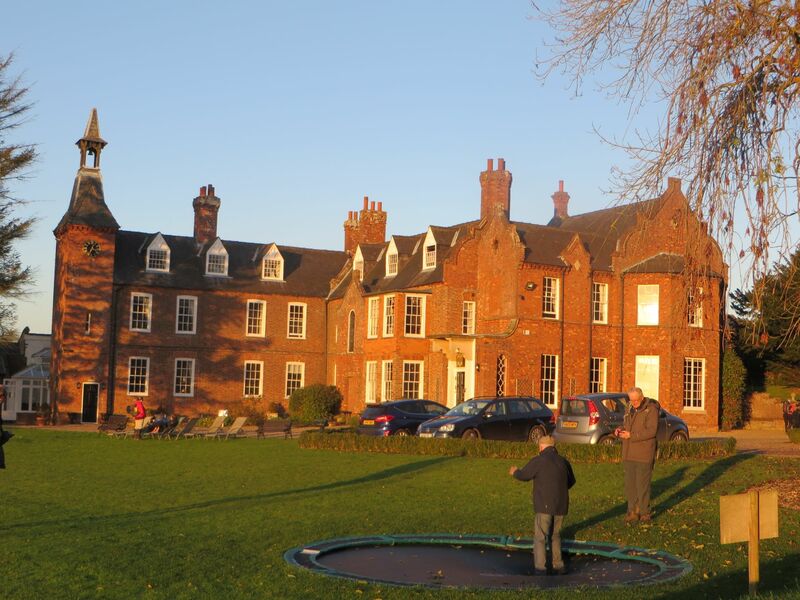 Whilst Somersby is famous as the birth place of the Poet Laureat Alfred Lord Tennyson, St Margaret’s is celebrated for its association his father, (George Clayton Tennyson) who was Rector here for 23 years. 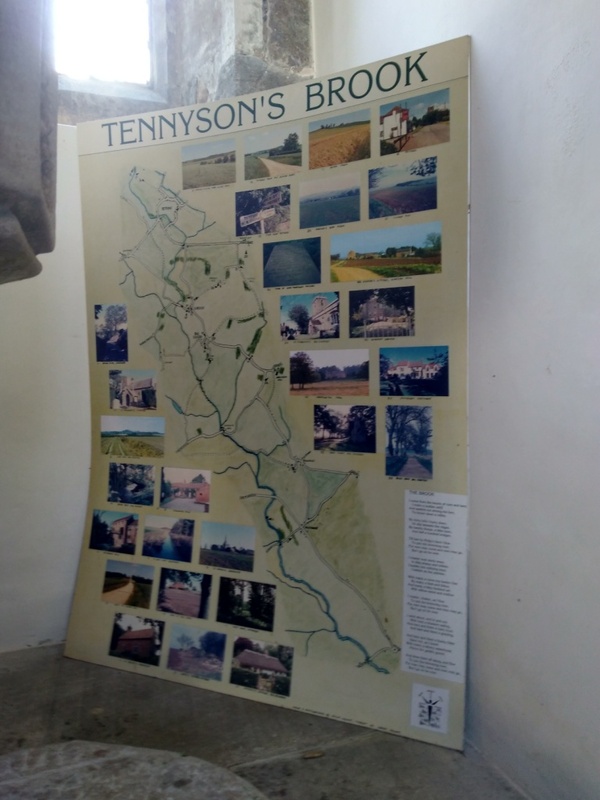 We enjoyed the glorious sunshine outside – and inside the Church contained mementos and historical facts about the Tennyson family. 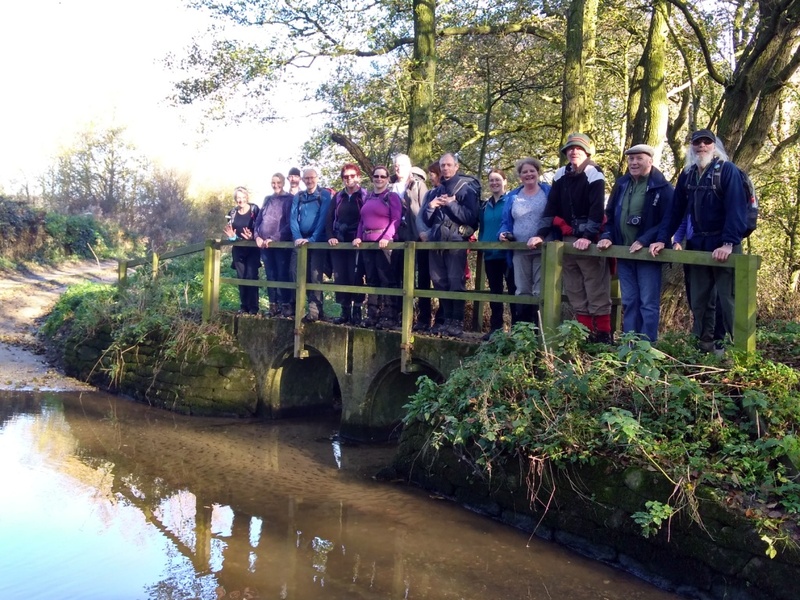 The walk was beautifully varied; with a couple of bridge-assisted fords to cross, and great views of the South Lincolnshire Wolds. We passed brown sheep, donkeys, Llamas and more horses – all willing to converse and pose for photographs. Is that giant hogweed or tiny people? 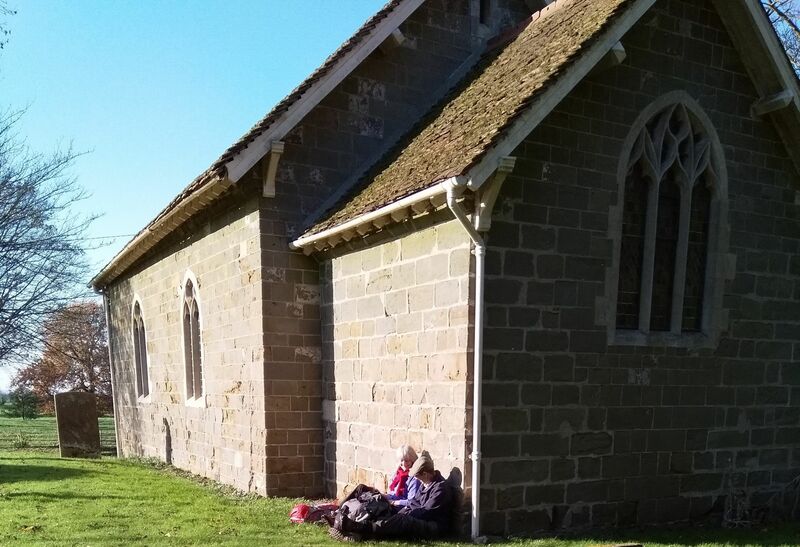 The official lunch stop was St Andrews Church at Ashby Puerorum; built circa mid 13th century, and made of greenstone (as was St Margaret’s in Bag Enderby). 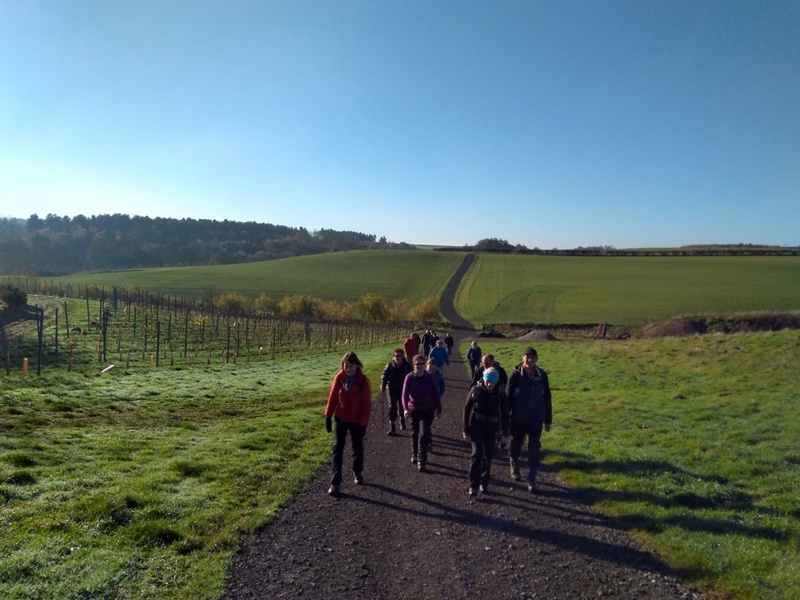 We enjoyed delicious sunshine and Rachael shared her Jelly Babies to keep us sweet for the rest of the walk. 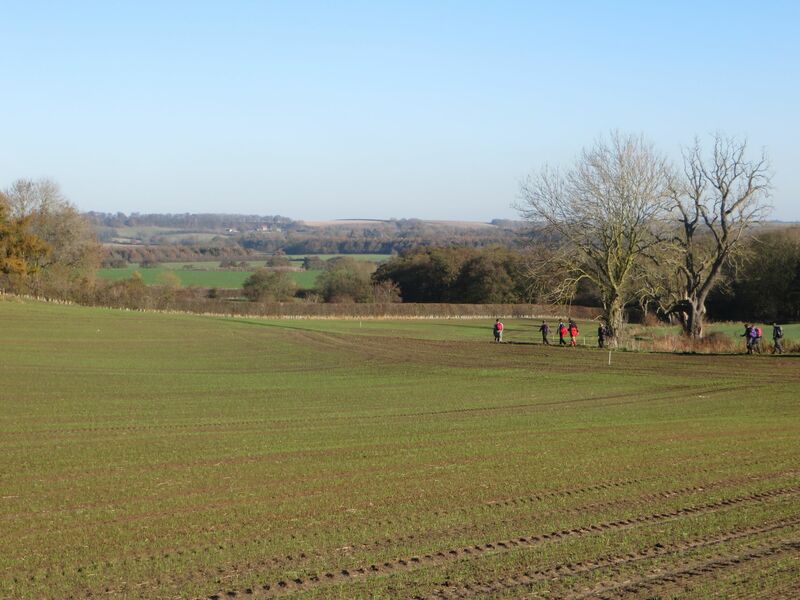 All in all a terrific and varied walk; made more enjoyable by good company and the usual IOG banter. 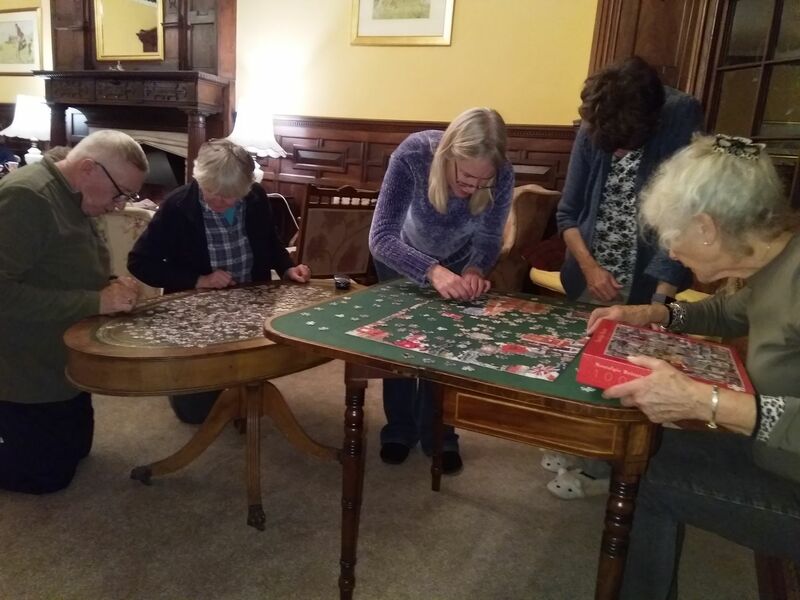 The addition of knowing we were heading back to Skendelby Hall for delicious food and an evening of relaxation, or completing the 1,000 piece jigsaw puzzle and/or fun and games made it all the more special. 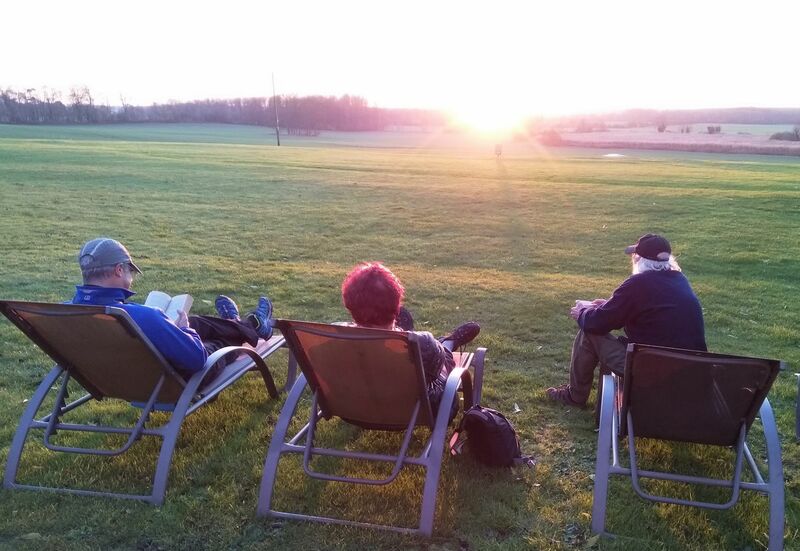 This is one of the key delights of a weekend away with the Outdoor Group, one can choose to be as relaxed or as sociable as you wish. 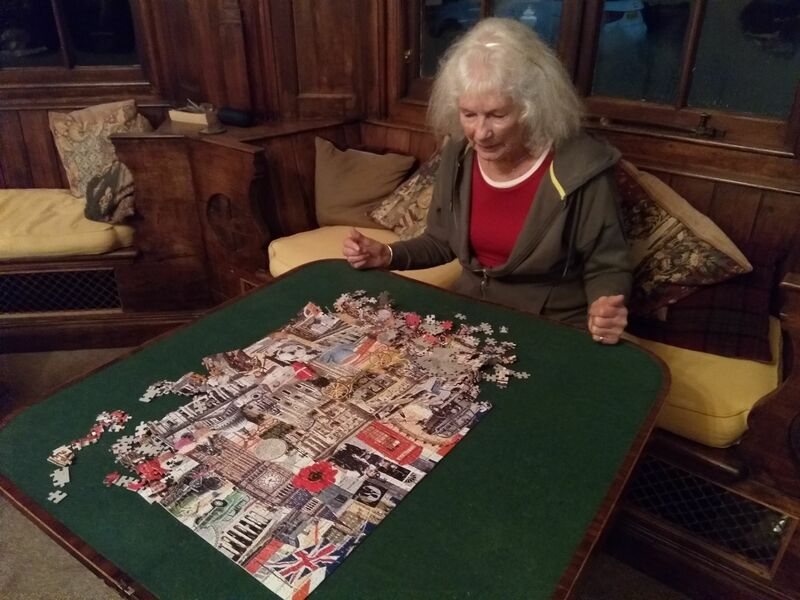 Read, do crosswords (you might even get a little help), walk, play board games etc. It’s a member-led organisation, so you choose what works for you. 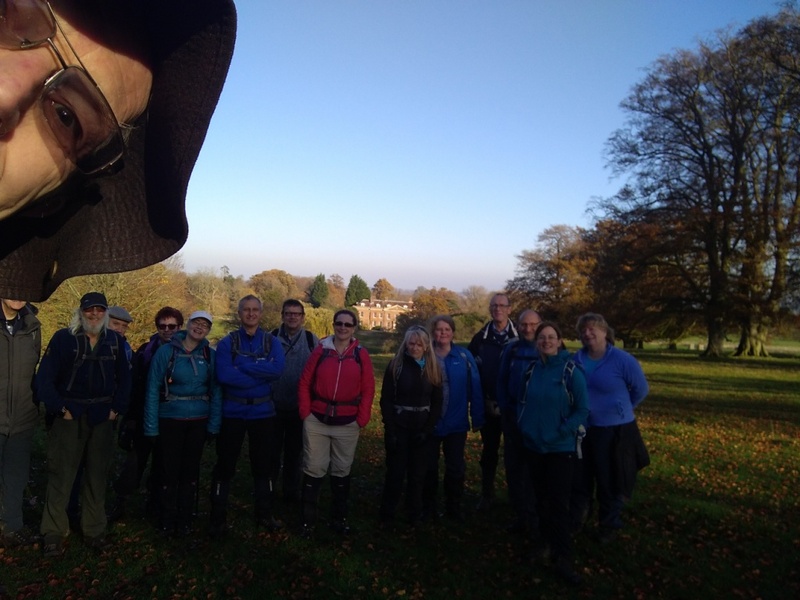 Thanks Lou for organising a splendid walk. The sun was dipping, and shadows lengthening as we made our way south; to cross the A158 and walk the last hour back to Snipe Dales Country park. The last leg was uphill; so best to get your head down enjoy the heel/toe action. On Sunday night, over dinner, Glen, our resident poet laureate, amused us all with a rhyme that is included by popular request (though I am reliably informed that I blushed crimson while it was going on – ed.). For dear old Paul Wheatley! 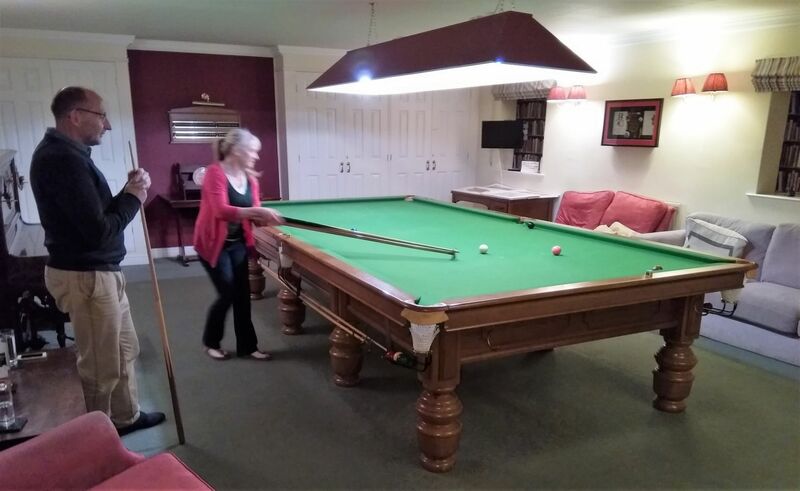 To this fabulous venue – even got table tennis! And – from Marie-Louise – many thanks to all for indulging me in my favourite things – organising fun away and cooking for lots of people: I had a great weekend. 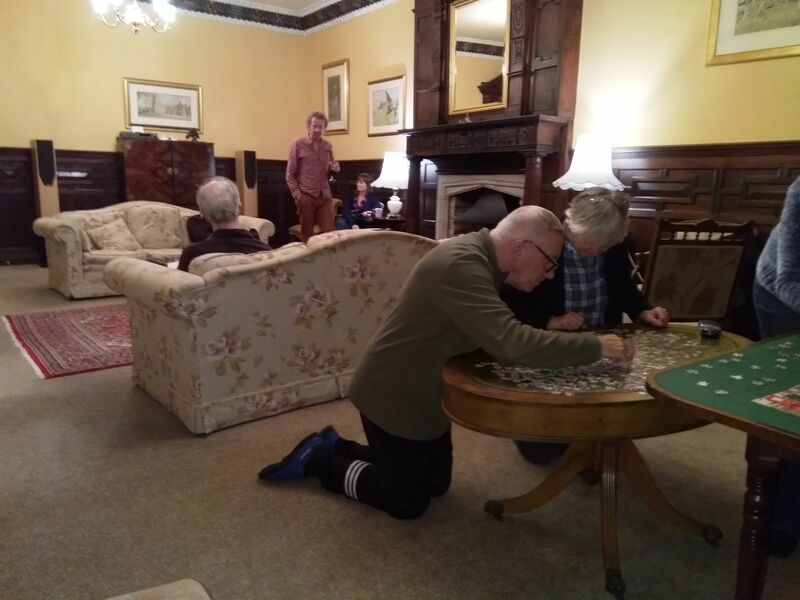 Special thanks also go to the vital helpers: Dave B., who cheerfully puts up with chauffeuring a visit to Bookers before all these jaunts; Bob, Sally and Glenys, who get breakfast on the table; and all the evening helpers – cooks and bottlewashers – who make the provision of food such a pleasure.